I love the vintage look of the Merry Christmas Typewriter Ornament I found from the fine folks at Magnolia – the perfect gift for the writer or journalist (or aging hipster) in your life. 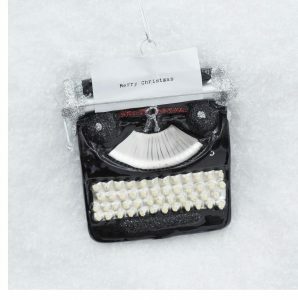 Find the Merry Christmas Typewriter Ornament from Magnolia here. Lost Cowboy is powered by	WordPress 5.0.4 and delivered to you in 0.907 seconds using 40 queries.